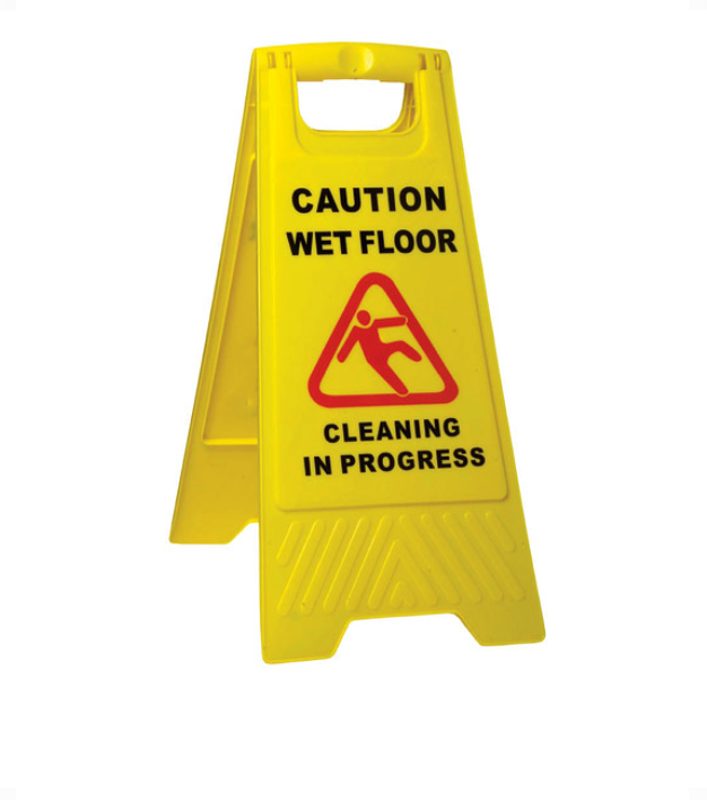 Caution Wet Floor / Cleaning in Progress" A-frame is one of the janitorial and safety ranges from Sabco. Its robust plastic construction can be used in different weather conditions. 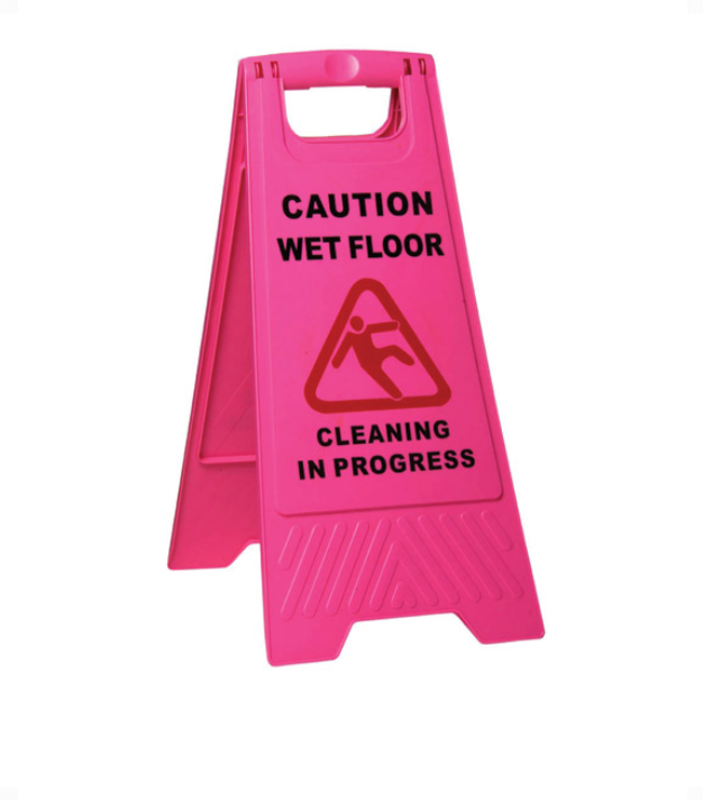 It is available in three colors: yellow, flouro green, and pink. Distinct message. 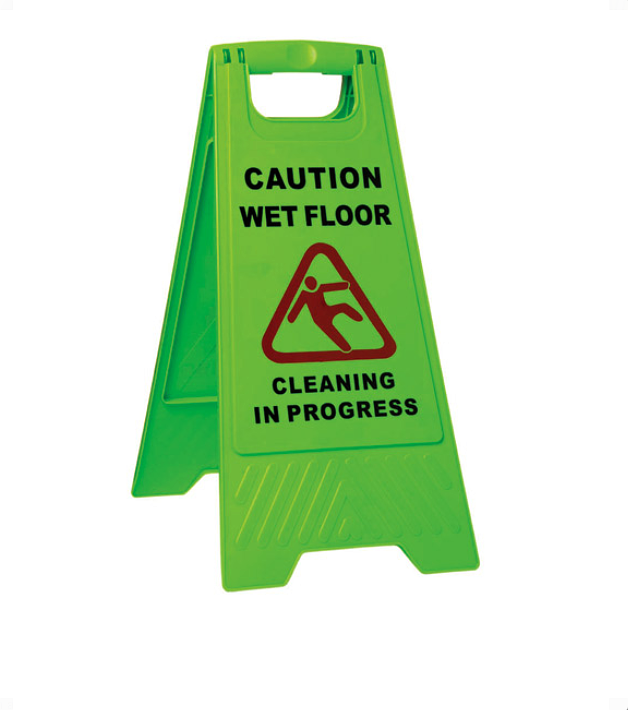 This janitorial safety sign with its robust plastic construction may be used in different weather conditions. It has a distinct message and is very easy to store and use. It is ideal for use both indoor and outdoor. "Caution Wet Floor" Cone from Sabco is available in yellow color. 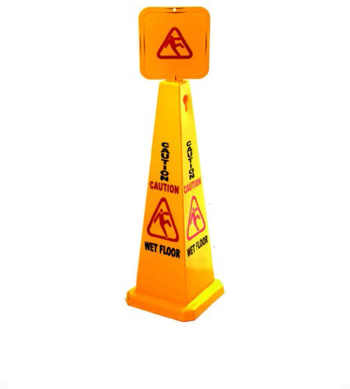 The available size for this is 1170mm tall, 4 sided, with sign board top. It is suitable for indoor and outdoor. 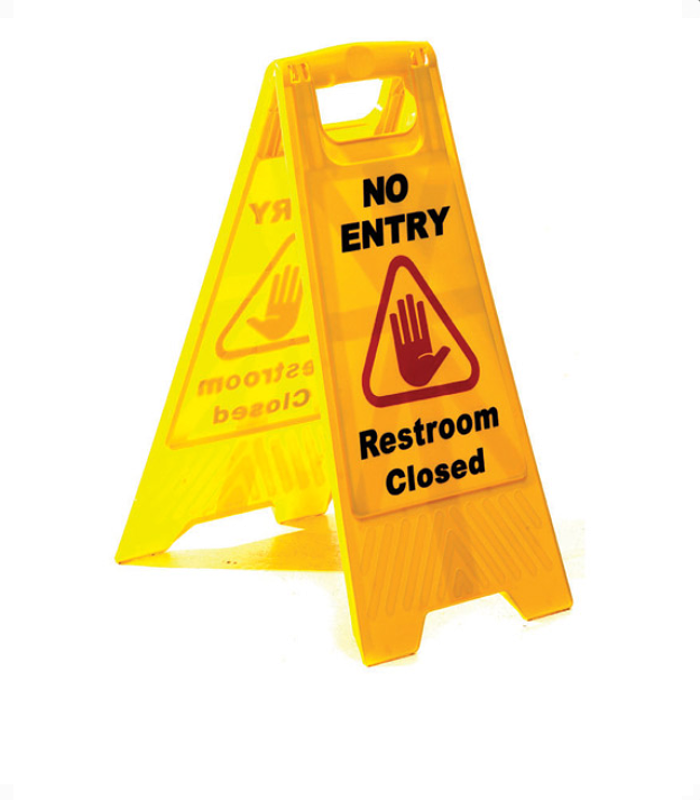 It can also be used with plastic chain to form barrier.